Dr. Terrell Peace joined the Huntington Education Department in 1998 after teaching at the graduate level in Texas for 11 years. 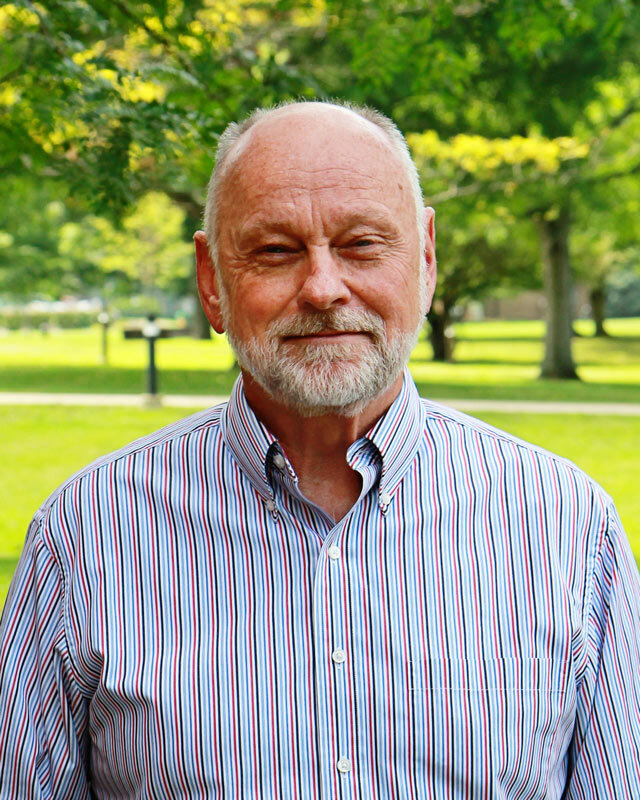 In addition to his teaching and administrative duties at Huntington, Dr. Peace is active in a number of state and national professional organizations including the Association of Teacher Educators, Kappa Delta Pi, and The American Association of Colleges for Teacher Education. He has held leadership positions in these organizations and made numerous presentations at their national conferences. Dr. Peace served as President of the Association of Teacher Educators 2010-2011. In 1995, he was a co-author of The Teaching Ministry of the Church. Recent publications include contributions to, “Racism in the Classroom” (ATE/ACEI 2002) and “Affective Teacher Education: Exploring Connections Among Knowledge, Skills, and Dispositions” (Rowman & Littlefield, 2009). Dr. Peace’s current areas of interest and investigation include differentiated instruction, neuroscience applied to learning, misguided educational reform, and leadership. He enjoys listening to music, playing golf, and is an avid Huntington sports fan. His wife, Nancy, is an elementary school teacher. The couple has two daughters and a son-in-law who all live in Florida.